This page last modified 2012-11-29 22:02:11. 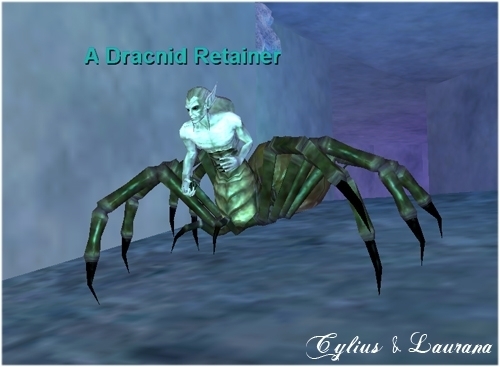 In game he is A Drachnid Retainer, notice the "h". Interesting how the image here contains the erroneous spelling. EQ must have fixed it in game as well. First 3 items were not mentioned as his known loot so I thought I would post. Spawns in the southernmost cave of spiders - Pather - Does not see invis.